This lovely shop has ample character for your next Showroom, Pop-Up Store or Private Event. 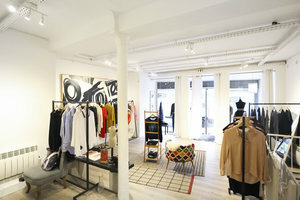 The ground floor room has elegant parquet floors, white walls and track and spotlights provide optimized lighting for displaying clothes and product. 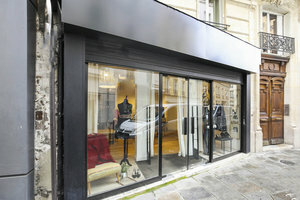 Located in the heart of Sentier, close to the Grands Boulevards and Réaumur-Poissonnière, this neighborhood is frequented by a stylish demographic and perfect for brands looking to expand their customer base.